HMH Books for Young Readers, 9780152163877, 32pp. There's nothing like curling up with a good book, but you have to be careful. Before you know it, a minute turns into an hour, an hour turns into a day, and a day may turn into . . . eternity. Inspired by the likes of Edward Lear, X. J. Kennedy, and Lewis Carroll, the author of Arithme-Tickle and Scien-Trickery has created a collection of original poems about books and reading that range from sweet to silly to laugh-out-loud funny. 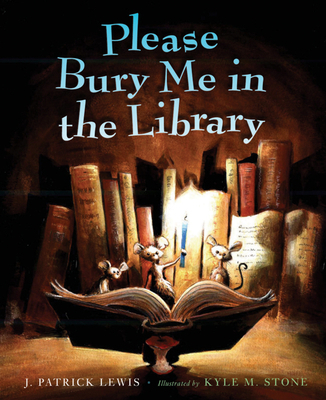 Newcomer Kyle M. Stone's clever, witty, and endearing paintings make this the perfect treat for book lovers of all ages.